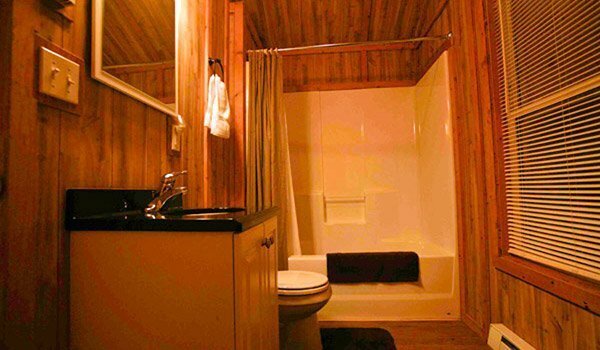 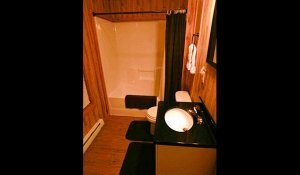 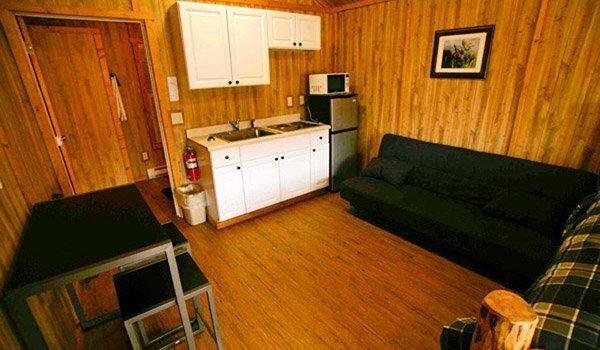 A cozy den with kitchenette, refrigerator, friendly dining room table and full bath with tub. 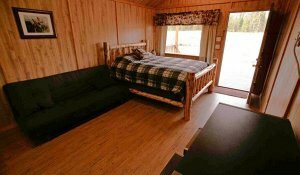 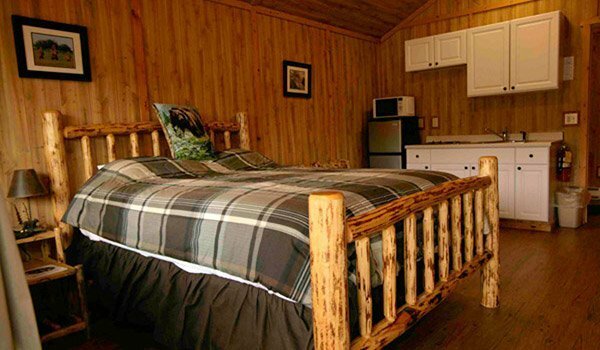 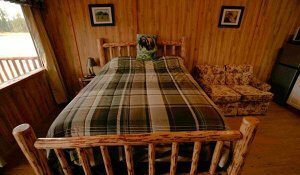 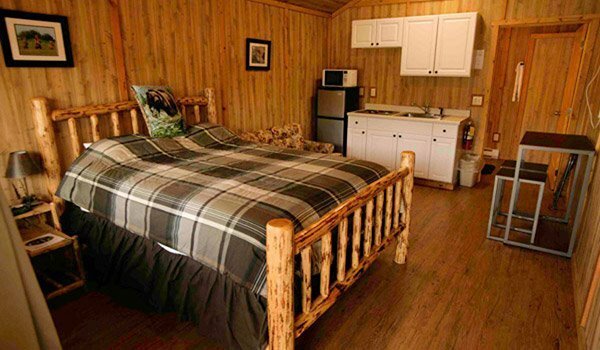 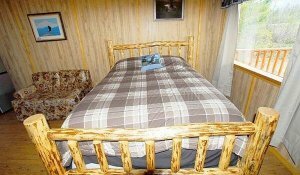 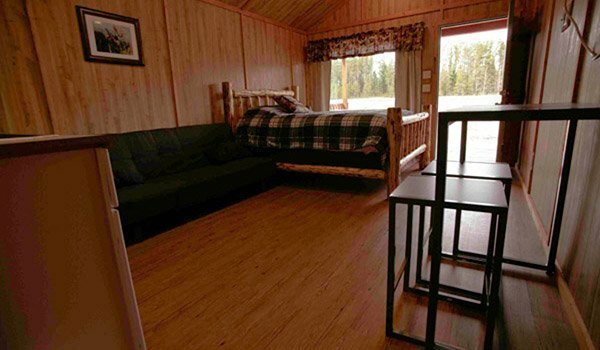 Relax on the queen size Rustic Lodgepole bed with a high quality pillowtop mattress. 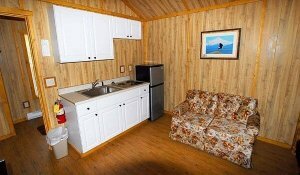 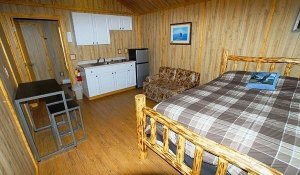 The cabin also has a sofa sleeper or futon bed and night stand. The large front porch is perfect to relax in the evenings enjoying the mountain scenery. Note: Some basic pots, pans, plates, bowls, cups and silverware provided in the cabin.